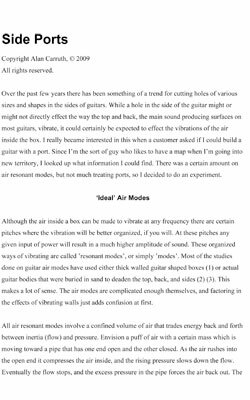 What follows is a series of articles I wrote about guitar acoustics. 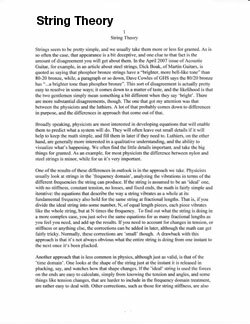 Click on a thumnail image to read each article in PDF format. If you don't have the PDF reader, you can download it from the Adobe Systems Web site. New DVD on Free Plate Tuning! 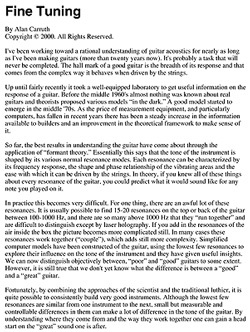 Alan has just released a four hour DVD explaining his methods for free plate tuning. You can purchase it from the Collins Guitar Web site.